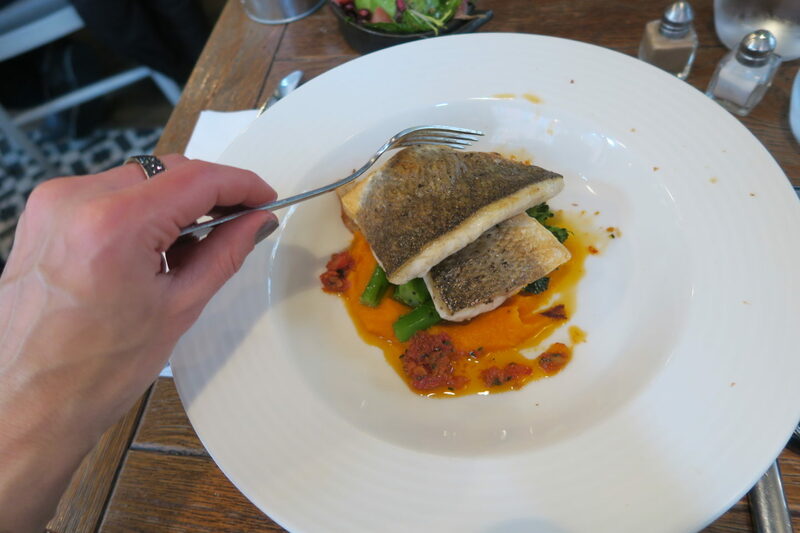 Where can you lunch on High Street Kensington? I turn to the good ol French for good food as it never fails to disappoint. 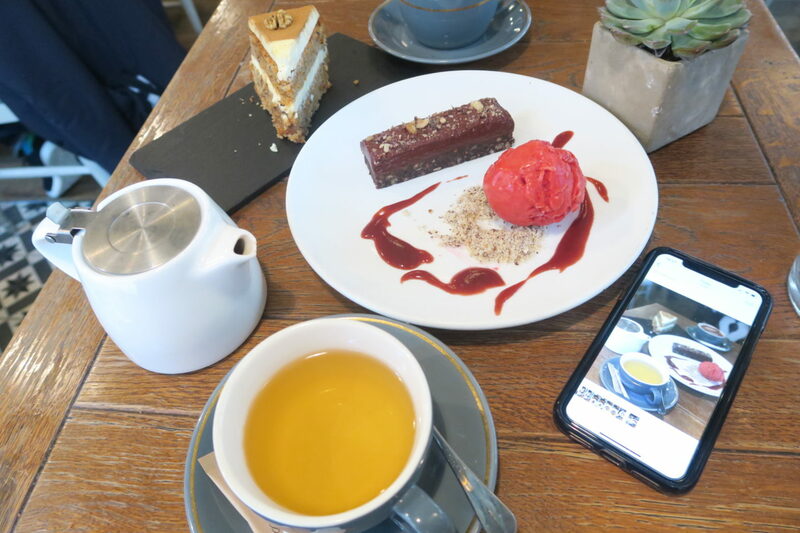 This cute little restaurant takes a corner just off High Street Kensington which makes it the perfect location to lunch or dine if you also have plans to watch a performance at the Royal Albert Hall which is a short walk away. The open and ample space inside make it family friendly, so great for those mums using a buggy and on sunny days, the buggies can be parked just outside on the cobbled street. On the weekend you will see a flood of families in here and if this is your local place, then you are bound to spot a friend or two across from your table. We kicked off the afternoon with some bread and butter (no surprises there), before digging into some seriously good sea bass. This came with a bed of carrot puree, broccoli with a dollop of sun-dried tomato puree which was perfect for bread dipping. 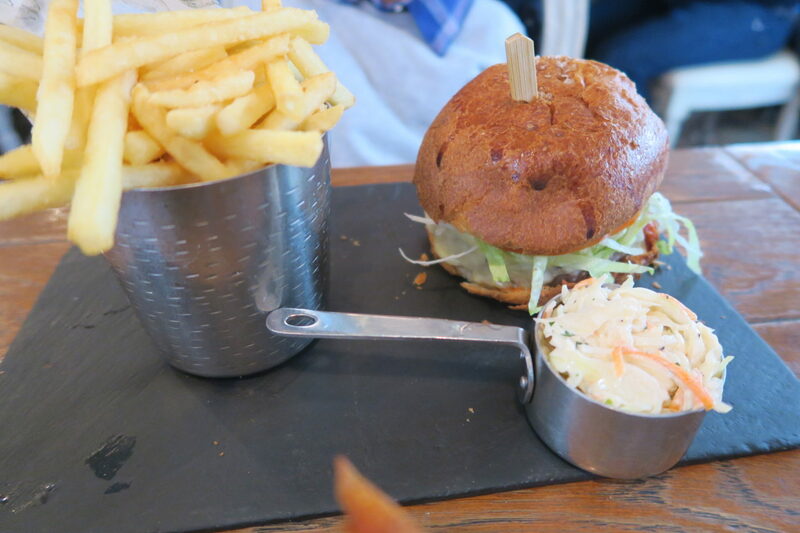 The burger was a also a delicious choice (as always its a winner). You can’t go wrong with a burger but be careful here as the menu has two options; The Aubaine burger which is sliced beef fillet (people often get confused and think its a burger patty) and the Wagyu burger-the burger patty (the best I have tried in a long time) served in brioche bun, some slaw and fries. I was savouring each mouthful, it was that good. The quality of the beef was unreal, it was not your usual burger in a bun, that I can confidently say. It is now my favourite over Patty&Bun, but it was a close tie between the two. Have you read my review on that? 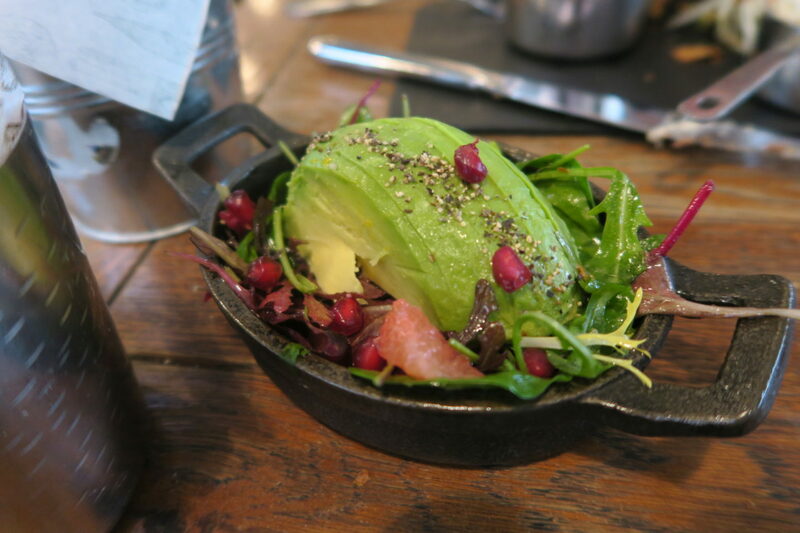 We also munched on a side of avocado and these were not your average Instagram friendly sliced avocado, wait for it…marinated in pink grapefruit and topped with pomegranate. I told you, not average by a long shot. 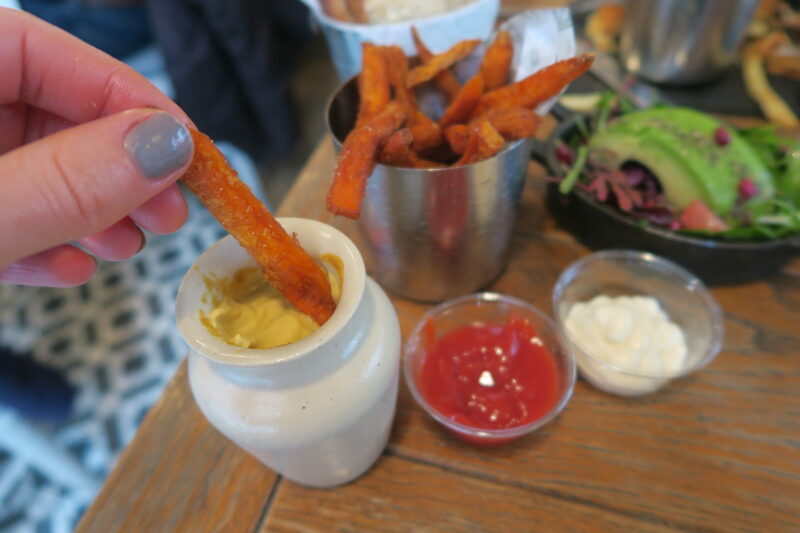 And the obvious, some sweet potato fries. You know I will be ordering these if they are on the menu. Dipping them three times is my golden rule. The ketchup, the mustard and the mayo. Nothing beats this trio combo. Who’s with me on this one? For dessert, well obviously it involved a chocolate dish of some sort. I mean this is me we are talking about, the chocolate addict. 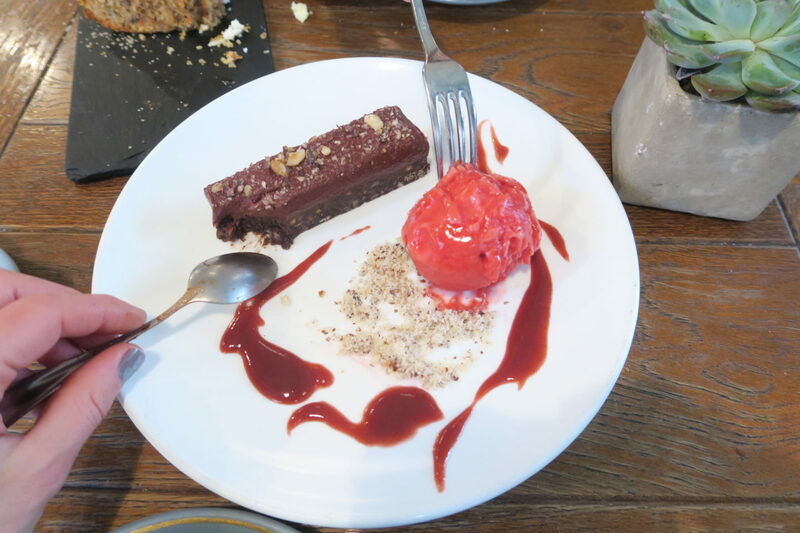 This was the raw 70% Peruvian dark chocolate and raspberry brownie which was divine. The chocolate literally melts in your mouth and the crunchiness of the nuts and the smooth chocolate made a great combination with the ice cold sorbet. This is one dessert not made for sharing, I kid you not. 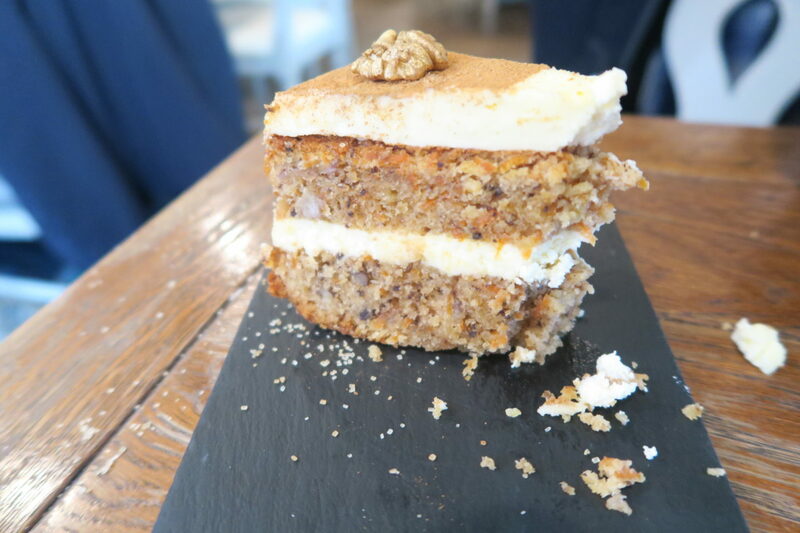 The carrot cake was a generous serving so I would say it is great for sharing when you want to nibble on something with your coffee after a meal. I would say that it is nothing too fancy though, it was given an ”ok” from me but still good as a dessert option. 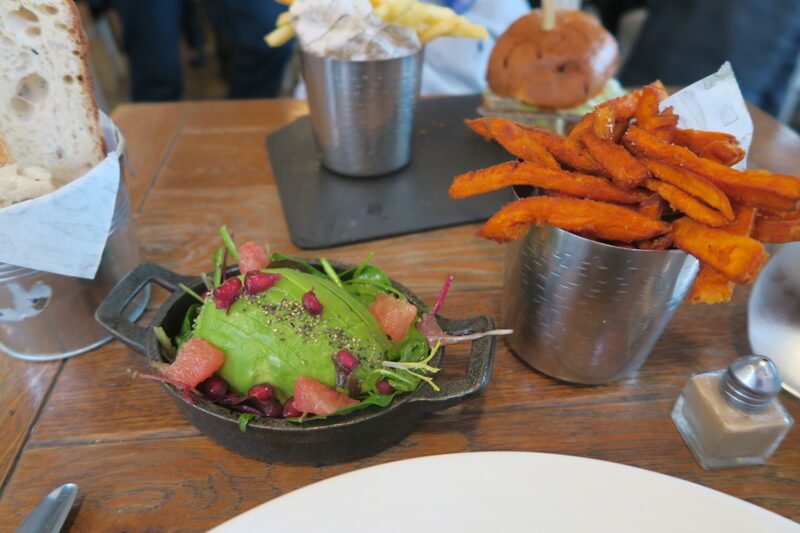 Aubaine also offer a great Vegan menu with mouth watering dishes like the portobello bean burger, and butternut squash risotto. With the Vegan cult right now, pretty much every restaurant in London will cater for Vegans now #theplantlife. If you plan to go during the week here, a booking may not be required but I would definitely book on the weekends as it can get quite busy (no surprises there with the outstanding food quality and service). 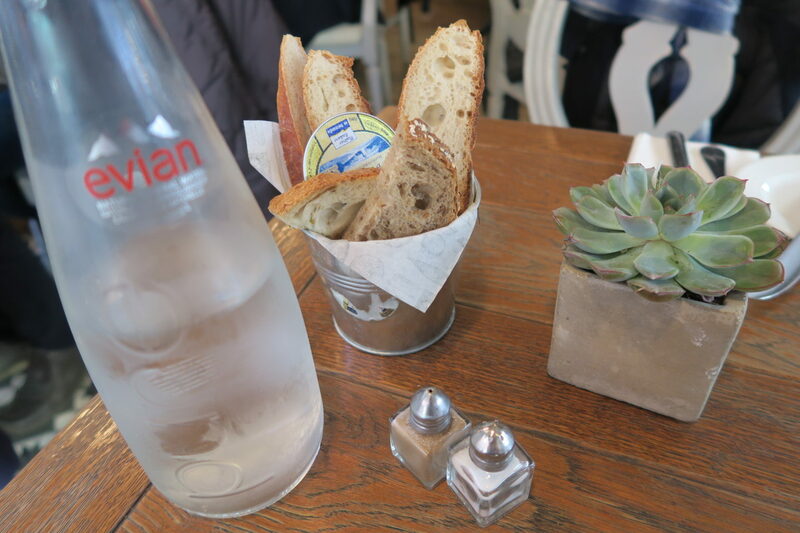 I couldn’t fault Aubaine, it was a pleasant experience. I could easily have sat and ordered another coffee but we scurried out in a hurry to make it to the Cirque du Soleil show, I know a late post which was sitting in the draft section being neglected for far too long. 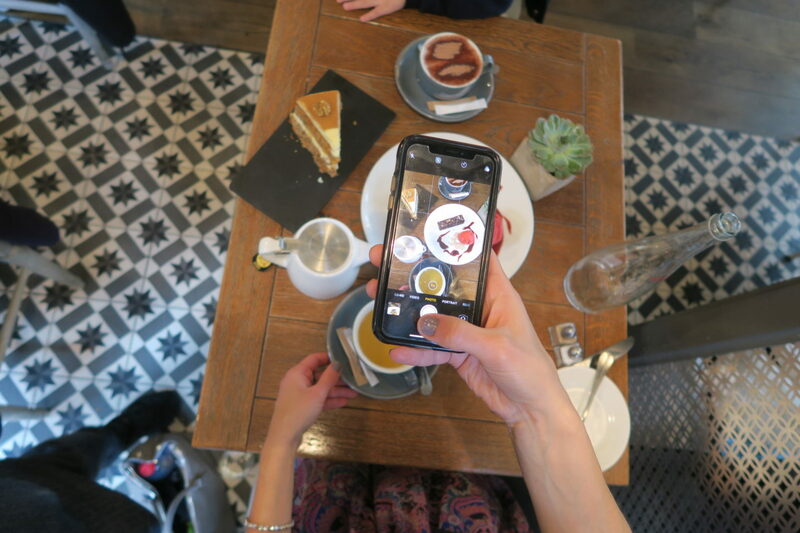 Where are your go to places to lunch on High Street Kensington? I bet they don’t do a mean beef burger like here.